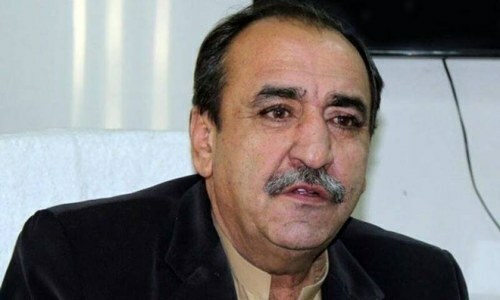 An anti-terrorism court (ATC) on Thursday granted bail to Balochistan MPA Majeed Khan Achakzai in the case concerning the killing of a traffic sergeant in Quetta last June in a traffic incident, court authorities said. After Achakzai was produced before the court amidst tight security, ATC judge Dawood Khan Nasar ordered the defendant's counsel to submit a Rs500,000 surety bond to secure their client's release — a requirement that was immediately met. "My client is likely to be released by tomorrow," Achakzai's attorney Noor Jahan Buledi later told DawnNews. 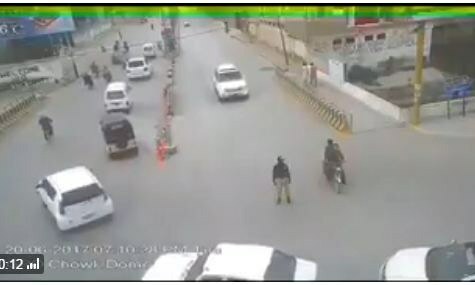 Achakzai is the main accused in the death of traffic sergeant Haji Attaullah, who was run over by the legislator's speeding vehicle in the GPO Chowk area of Quetta earlier this year. Local police had, however, initially registered a case against 'unknown individuals' — but after a widely-circulated video of the incident identified the vehicle as belonging to Achakzai, law enforcement agencies moved promptly to arrest him. The Pakhtunkhwa Milli Awami Party politician was produced in front of a judicial magistrate a week after the incident, after which he was remanded to police custody. Prior to his remand, however, Achakzai had 'confessed' to his involvement in the accident and claimed to have agreed to compensate the family members of the slain traffic policeman. The bail secured is the second relief Achakzai has received in a span of a week, as days ago he was acquitted in a vehicle tampering case related to the same incident. It is very sad to say that court has granted bail on a cold blooded murderer of a traffic officer. This shows that powerful elite and politicians can do anything and get different treatment - this is a classical example of double standards and no respect for law. We, as a society, have lost the right to exist any more. A murder case cannot be bailed, compensated or reprieved. Law requires that the State must act on its own behalf.